The last leg of my trip saw me visiting a great mate of Back of the Ferry and our wannabe North American correspondent. G has lived in Los Angeles since early 2000 and any trip the States has involved an LA stop no matter how fleeting. This was more fleeting than most due to a diary mix up, but G and I eventually caught up and shared a suitably ridiculous IPA with Californian beer label hyperbole before I flew out. 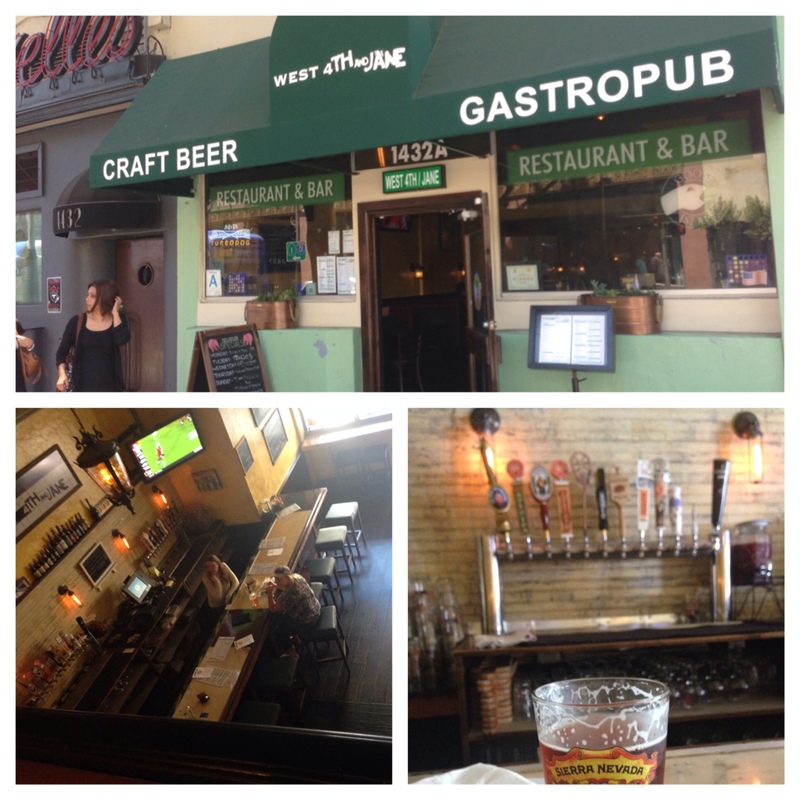 So with time to kill I headed into the heart of Santa Monica to check out a few establishments. In 2007, when a crew of us visited LA on a hit and run mission to celebrate G’s 40th, I recall visiting the Library Ale House and being blown away by the tap range. It was the first time I recall seeing that kind of place and thinking “whoa, this could be huge”. 7 years later and what was a phenomen is now common place. So many bars have a quiver of tap heads and a chalkboard dense with regulars and rotationals on tap. Santa Monica is also easy to get around if you get your head around the Big Blue Bus Service, which covers all the hot spots. Plus the walk from Santa Monica Pier to Venice Beach is great for people watching. The freak quota was down, apparently, but I think that I was a little too early and maybe it was too hot. There was the usual collection of scantily clad inline skaters and wizened old bluesmen. A new addition was the brightly clad green doctors helping people out with their medical marihuana licences. 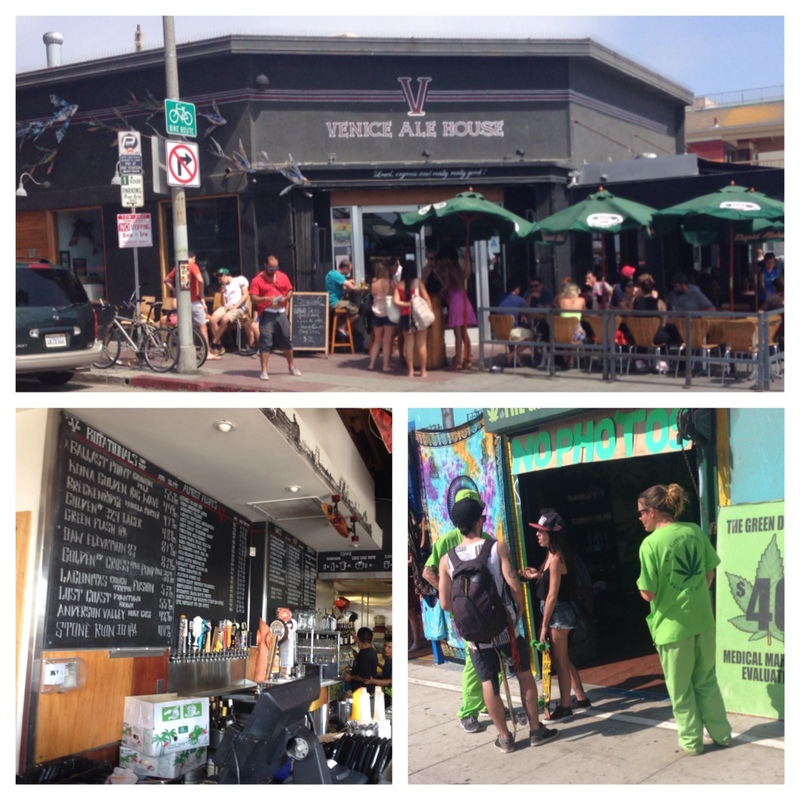 A reward for the long hot stroll along the beachfront and boardwalk is a visit to the Venice Ale House. This place was packed. The beer range is very, very solid and stuff was flying from the bar. On a cooler day a beer out the front would be magnificent. Equally good is a small place a block from the 3rd Street Promenade, called West 4th and Jane. If you travel with shoppers or have to shop, this is place to find respite or provide reward for a shop well done. Another ripping beer list by the proprietor who is a great mate of @Untappd. Food is excellent. The wings in Srichaci and ginger are exceptional value and have good kick. 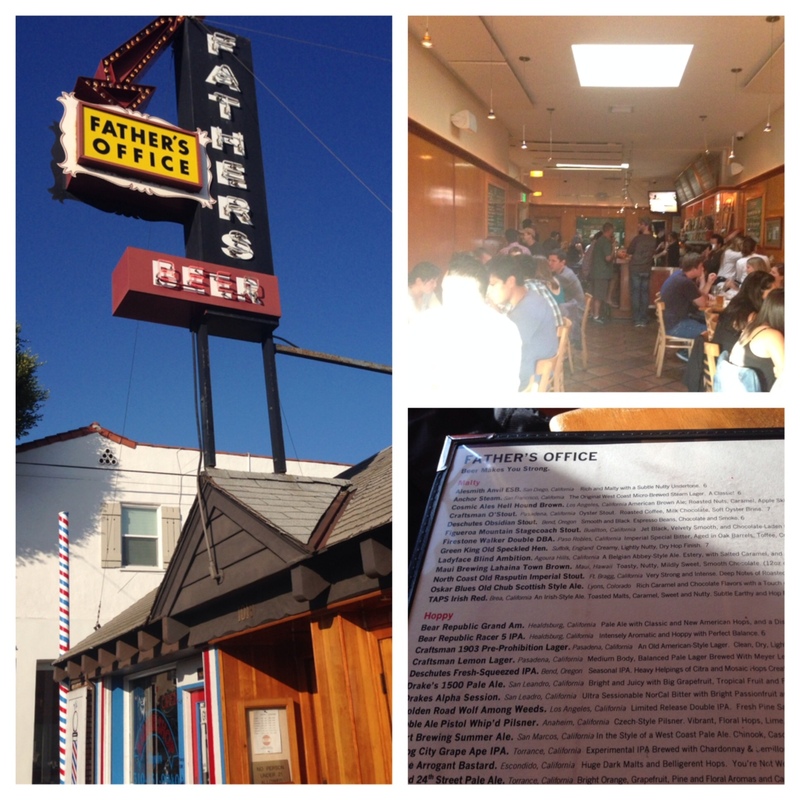 The place to which I’ll have to return with G is Father’s Office. This unassuming little bar with a great sign is on Montana Street at the Western end of a strip of restaurants and bars. I read good reviews and it didn’t disappoint. Apparently the clientele has changed over the years, but the food gets rave reviews and it is as full as a tick most nights. I was there a little early, but by 7 the place was jumping. The burger is regarded as one of LA’s best. 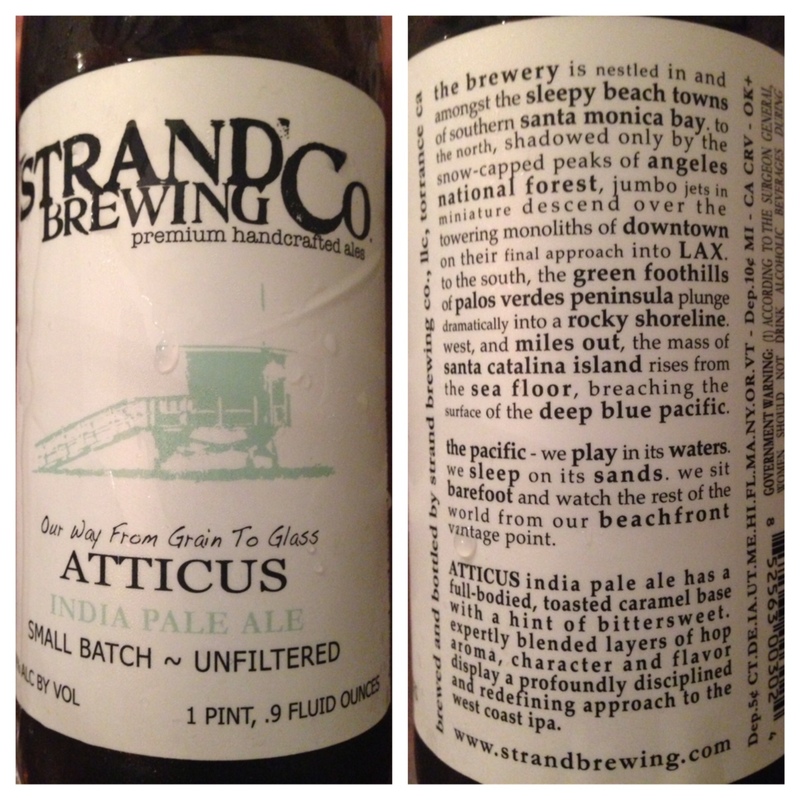 A leading contender for Santa Monica’s best EBB (Everything But Budweiser) bars. Next time, G, next time.